As we revealed last night, Christian Klien has departed Red Bull Racing and will be replaced in the final three races of the year by Dutchman Robert Doornbos. It has not yet been revealed who will be the team's third driver in China, Japan and Brazil. "Having done a solid job for us in the third car this season and having previously completed in eight Grands Prix, Robert is the logical replacement," said team boss Christian Horner. 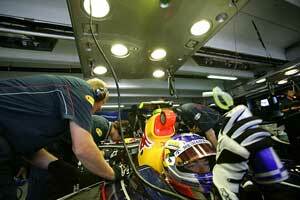 "He will start preparing for his Red Bull Racing debut at the team's test in Jerez this week."